Coming up with the potential benefits of an HRMS is as important as creating your initial business procedures. 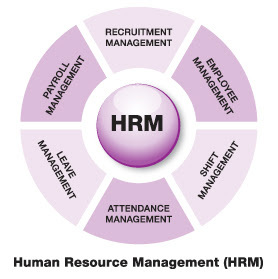 There are several HRMS options available today, and every one handles the HR function and integration in it's own way. When it comes time to consider an HRMS solution, you need to ask yourself a few questions. How will an HRMS help my business? Will it contribute to, or alter, your strategic advantage? This will help make the best decision when choosing an HRMS. Many years ago Human Resources departments were filled with a number of filing cabinets containing the paper records of each and every employee who had ever worked for the organization. Every bit of paperwork was regulated by a different retention requirement. This type of filing was difficult to keep up with for even the most experienced and knowledgeable Human Resource professional. One of the main benefits of an HRMS software is having the ability to handle traditional, paper-based processes electronically - this will save you time and money. Automating processes and functions that were previously done by people will save lots of time and money. It'll also change the functional scope of the HR department, allowing you to redistribute talent to new areas that were previously undeserved. For example, if your HR team spent much less time managing payroll, would they have a much more successful employee retention? Administering benefits beyond major medical and paid time off can become difficult without having an effective management system. It can become even more complicated when implementing a 401k and employer match. With an HRMS system, tasks like tracking performance-based bonuses are taken out of the hands of the line manger and become a more transparent and calculable benefit. Equation Technologies recommends Sage HRMS. Sage HRMS is a powerful solution that is used for managing critical employee information. This solution is ideal for any sized business. Sage HRMS helps you manage your company’s benefits programs with comprehensive benefits administration tools, track and prepare reports to ensure government compliance, and electronically store employee forms and certificates. More employers use Sage HRMS than any other human resource software, because it has been proven to be the most efficient, comprehensive, and cost-effective management information system available today. Sage HRMS eliminates time-consuming clerical work by organizing and automating the massive record-keeping needs of human resources. It also provides powerful tools for managing information about employees – your organization’s greatest asset and investment.